Back in mid-August adoptees had a partial victory that we had hoped might lead to genuine structural changes, see my post Massive (partial) victory for adoptees from India and their human rights! Now a little over two months later, we’re back to being bastardized by the state again, see Adopted woman loses battle to find real mother. The HC was hearing a petition filed by Daksha Van Dijck, 35, and Anjali Pawar-Kate of the international NGO Against Child Trafficking. A Netherlands-based clinical psychologist who was adopted in Mumbai has lost her almost 10-year old battle to find her mother. The Bombay High Court ruled on Friday that a promise made to an unwed mother while she was handing over her child, allegedly born out of an illegitimate relationship, cannot be broken. The bench also agreed with Shraddhanand Mahilashram on the point of concealing the identity of the unwed mother and hence dismissed the petition. Of critical importance in both these cases, is that both adoptees are basing their arguments on what they see as potential criminal wrongdoings in the course of their adoptions. The “abandonment” stories at the core of both adoptions simply don’t add up when examined closely. Both adoptees seek the information for a number of reasons, including to try to retrace whether or not their adoptions were via the black market or otherwise entangled with criminal behaviors. When the court denies a full investigation of the circumstances by which they became available to the adoption process, the court’s rulings have the effect of potentially protecting criminals and criminal interests. Until the light of day is shed on these circumstances and all documents pertaining to these cases, the very real possibility of criminal entanglements remains, lingering like a shadow, yet any evidence is kept intentionally out of reach. The days of privileged documents are most certainly, still upon us. I also found several other articles. This Daily News & Analysis article, Dutch woman denied info on Indian parents by high court, has a few other details about the case. The high court had earlier directed the prothonotary and senior master of the court to trace the 1975 records pertaining to Van Dijck’s adoption, which was granted with the high court’s permission. Daksha had sought action against Shraddhashram Mahilasharm in Matunga from where she was adopted. Her advocates Pradeep Havnur and Shabana Ansari told the court that there is no police inquiry report in terms of the adoption but a mere affidavit saying the child (Van Dijck) is free for adoption. Dismissing the petition, the court, however, said adoptive parents should also be held responsible if the adopted child feels that the adoption procedure was faulty. “Why are the adoptive parents not made a party to this petition,” the court asked. Each of these paragraphs are interesting and important. The first, in that at first, the high court was asking the adoption records be traced, before later denying Van Dijck access. The second, in that the paperwork is simply an affidavit asserting Van Dijck was available to the process. Finally, the third, in that the court brings up the obvious, if there was what in this country might be considered a “wrongful adoption” then why are the adopters themselves left off the list of people being held responsible? The court has issued a notice to the agency, asking it to appear in court, through an advocate, on September 13. Daksha, a clinical psychologist, had filed the petition alleging that she was most likely kidnapped as an infant and placed for international adoption by the agency. The court has also asked the police to check their records on whether they have a complaint filed about an abandoned baby, who was taken in by the Aashram. “If an abandoned child was found outside the Aashram, there must have been some police report. If not abandoned, then someone gave the child up and so the Aashram must have the records,” said Khanwilkar. Dinesh Adsule, additional public prosecutor, who is representing the state, which is one of the respondents, said officials have visited the Aashram but not found any records. Daksha returned to India in 2007 with her husband and approached Shraddhanand Mahilashram, which did not co-operate with her or with Wereldkinderen, after which they lodged a complaint at Matunga police station, Ansari said. The lack of abandonment documentation and the lack of a relinquishment document should have raised red flags long before she was allowed out of the country, as essentially, there is no paper trail of consent ever having been given for her to be adopted or parental rights to be cut. Shraddhanand Mahilashram was the Ashram where she originated, Wereldkinderen was the Dutch agency that handled the adoption. has filed a petition saying she suspected she was kidnapped in 1975 and given up for adoption by Shraddhanand Mahilashram in Matunga.A division bench on Tuesday directed the state to file a reply in two weeks. Dijck was adopted by Johan Van Dijck in 1975 through Wereldkinderen, an adoption agency in Hague. To say Shraddhanand Mahilashram is politically connected would be an understatement. 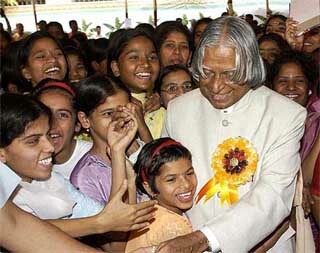 As but one example, back in 2004 then President APJ Abdul Kalam visited the Ashram, see Guess who’s meeting these kids on Sunday. The potential for political embarrassment (at minimum) is immense, were the Ashram ever found to have criminally mishandled adoptions. Perhaps “fortunately” for some, there are sealed records and privileged documents to take care of such potential unpleasantries. Your blogpost is absolutely great! I amazed how precise you understood the situation, just from the newspaperreporting! Great to hear from you Arun! Thanks so much. I ‘ll get to a full reply later on today.